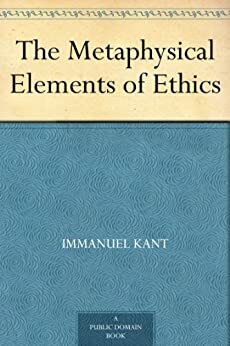 Optimized for the MobiPocket Reader, this is a very special edition of Immanuel Kant's "The Metaphysical Elements of Ethics." The text of the book is completely in English. If you click on one of the words in the text, a convenient pop-up window appears with a customized Czech thesaurus for that word, which includes a variety of Czech translations that come from Webster's Online Dictionary (www.websters-online-dictionary.org). Running throughout the text, uncommon English words are highlighted in blue that are likely to be found in examinations in English Language Programs (ELP), English as a Foreign Language (EFL) programs, or in English as a Second Language Programs (ESL). The highlighted vocabulary words are also likely to be found in foreign service, translation certification, Advanced Placement- (AP-), TOEFL-, TOEIC-, SAT-, PSAT- , GMAT-, LSAT-, GRE-, or similar examinations. TOEFL-, TOEIC-, GRE-, AP- and Advanced Placement- are trademarks of the Educational Testing Service; PSAT- is a registered trademark of the College Entrance Examination Board and the National Merit Scholarship Corporation; SAT- is a registered trademark of the College Board; GMAT- is a registered trademark of the Graduate Management Admissions Council; LSAT- is a registered trademark of the Law School Admissions Council. All rights reserved. These organizations neither sponsored nor are affiliated with this product. 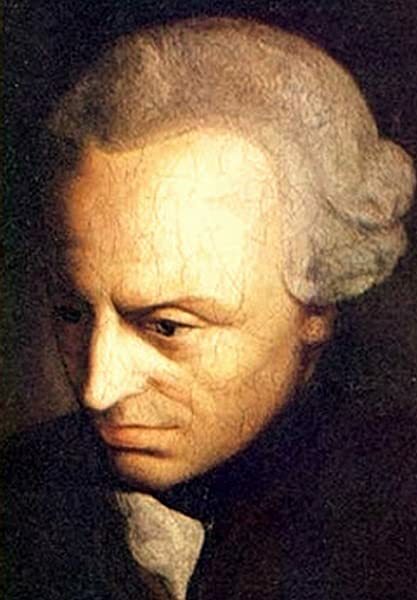 Immanuel Kant (1724-1804) was a German philosopher who is perhaps the founder of "modern" philosophy, with his focus on epistemology (theory of knowledge); he wrote many books, such as The Critique of Pure Reason,Critique of Practical Reason,Critique of Judgement,Prolegomena to Any Future Metaphysics,Religion Within the Limits of Reason Alone,Anthropology from a Pragmatic Point of View,The Metaphysical Foundations of Natural Science,The Metaphysical Elements of Ethics,Opus Postumum, etc. This brief book itself is of interest, even though it covers similar ground to other, better-known works of Kant. 5.0 out of 5 starsThe Metaphysics of Doing Right Things For Right Reasons ! In "The Metaphysical Elements of Ethics" by Kant, the author explains how each of us can be happy while following an inner sense of duty. Our resistance to inner urges is seen as fortitude by Kant. As such, the greatest moral perfection is to do our duty. In the simplest terms, duty is the requirement to assist others in distress. This assistance does not come from a statute but rather an inner voice which tells us to do the right thing in the circumstances. The idea of perfection is seen as a personal matter and not as a call to make others perfect because we say so. A corollary is that virtue is the strength of a person's maxim with regard to a self imposed obedience to do duty. According to Kant, each of us should act as though the ends are such that they call for a universal application of the result to all. Conscience is seen as an innate characteristic which is driven by the will and acted upon physically. Overall, "The Metaphysical Elements of Ethics" by Kant is an important contribution to the philosophy of living life to do right things by all. Kant's "Categorical Imperative", or the rule that you should only undertake an act if you are prepared for it to be a universal rule applied to yourself is explained and expanded upon in this work. Although the language is slightly archaic for the modern reader, Kant makes a subtle argument that renders his "Categorical Imperative" slightly more sophisticated than the "Golden Rule" (do unto others, etc, etc) or, say, JS Mill's views on individual responsibility in On Liberty. What I do find least convincing, however, is Kant's concluding argument that an individual can only test their behavior towards others as a responsibility towards God. Whatever one's faith (or lack thereof), everything in this work leading up to Kant's final arguments suggests the possibility of - and lays an active framework for - a moral, virtuous life to be lived without reference to God. Anybody who wants to think seriously about morality and ethics should make themselves familiar with the "Categorical Imperative", although I need to read more of Kant's work before I make a definitive recommendation on whether to start here or elsewhere. I downloaded a bunch of books onto my kindle that were free. This was one of them. I really didn't ready any of them. But I always have the hope that my kindle will force me to read more, when in the end I just end up using it for movies. I am sorry this review is not really based on the book. I feel the need to be upfront about that. I did browse thru the chapters but It took a lot for me to really get into this book. I am not a huge reader and it does take a lot for me to really get into something. I did finish it but it didn't leave me wanting to read more by this author. Thanks to Amazon Prime on my Kindel for letting me try out books that I don't have to buy. I probably would have been let down had I actually purchased this book. That is probably the best part about the Kindle lending library. You get the opportunity to try out books you wouldn't normally buy or be able to get from your local library and they are right at the tip of your hands. Definitely makes you not feel so bad about it if you don't actually read the book or the whole book. Which often happens to me. 3.0 out of 5 starsAHHH! Have you ever tried to read Kant?